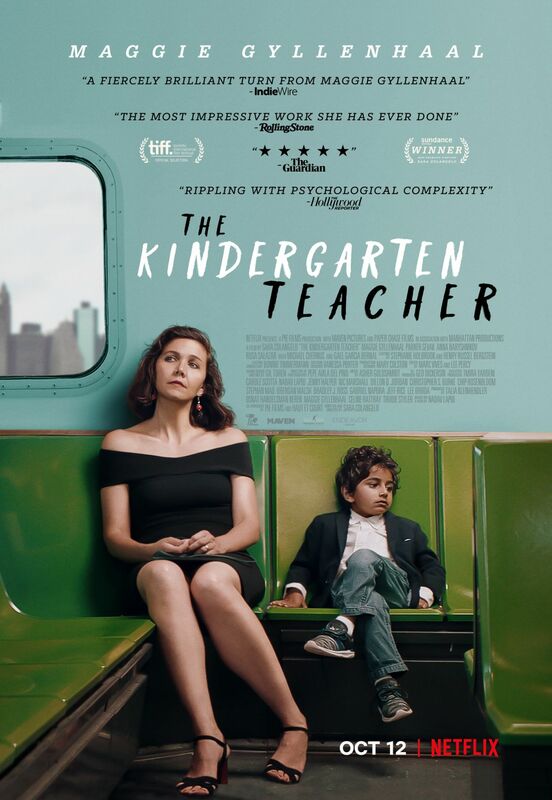 Netflix has released the official trailer for the upcoming psychological thriller The Kindergarten Teacher, starring Oscar nominee Maggie Gyllenhaal (Crazy Heart, The Deuce) and newcomer Parker Sevak. Check out the trailer now in the player below, as well as the new key art in the gallery! The Kindergarten Teacher also stars Anna Baryshnikov (Manchester by the Sea), Rosa Salazar (Alita: Battle Angel), Michael Chernus (Orange Is the New Black), and Golden Globe winner Gael García Bernal (Mozart in the Jungle). The movie is directed and written by Sara Colangelo (Little Accidents), based on a film by Nadav Lapid (Policeman). Talia Kleinhendler, Osnat Handelsman-Keren, Maggie Gyllenhaal, Celine Rattray, and True Styler serve as producers. The Kindergarten Teacher will launch on Netflix on October 12, 2018. The post The Kindergarten Teacher Trailer: Maggie Gyllenhaal Spirals Down a Dangerous Path appeared first on ComingSoon.net.